belldandy – Page 2 – How Do You Figure? While the differences between the 1/8 figures aren’t very noticeable (they seem to fit well together), the differences in height on the 1/6 figures is pretty significant. Some of the differences don’t even make sense. 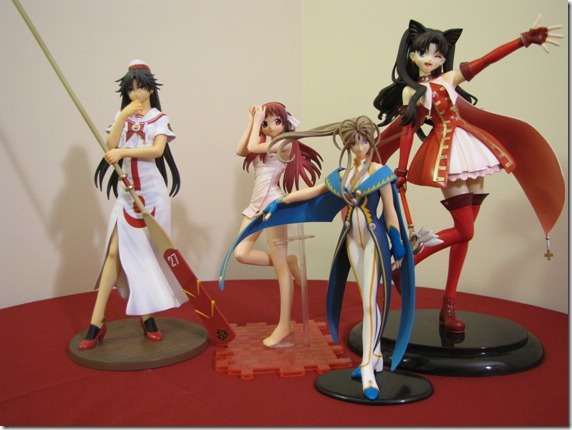 From left to right, the character heights are: Akira – 168cm, Onda Aka – unknown (but is fairly petite), Belldandy – 165cm, and Tohsaka Rin – 124cm (Fate/Zero), 159cm (Fate/Stay). No matter how you look at it, Akira should be tallest figure, followed by Belldandy, then Rin. 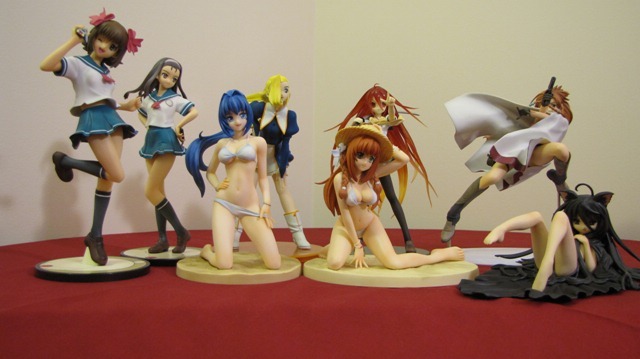 Somehow, Rin is completely oversized and Belldandy is far too small. But it doesn’t stop there. Even among the 1/8s, there is some discrepancy. 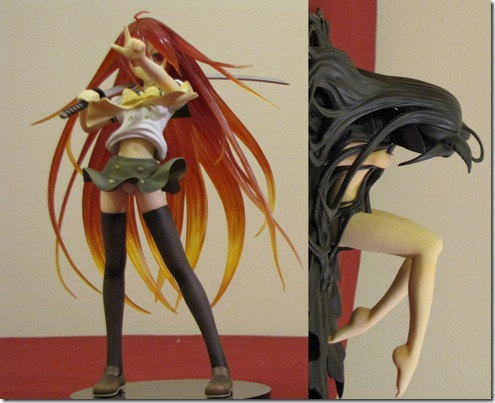 Here are two 1/8 scale figures of the same character (different manufacturers). If you were to pull the right figure upright, she would come out to be taller than the one on the left. All these differences make me wonder how the figures are made, and how they’re sized… Is it arbitrary?